Please help me save Dave Davis’s home so it may continue to serve as a place for endless creativity, of sanctuary for the hurting and nourishment for both the body and mind. I want to keep my father’s legacy going but the only way to do that is through the generosity and kindness of the community he so loved. It is important to me and I see also the community, that his ideas and his space continue on. His nonprofit art center, which was budding and ready for more apprentices, will continue on under my direction, as well as the addition of my organic farm to the property. We will offer an huge variety of classes in both creative and natural arts as well as hosting openings for some of the newest members of this valleys art community. *All donation will be applied to the purchase of Dave Davis’s home, if this campaign is not met all funds will be returned to those who donated. **Donations are to me personally, not the nonprofit and are therefor not eligible for tax deduction. ***If the initial campaign goal is reached, we will continue to raise money to pay off the remainder of the mortgage. As of today I will be keeping to fundraiser up and running as there is still a chance of keeping the home (Yay!). I was so discouraged after the last news but have found there is still hope and I am going to keep my hopes high! Things change almost daily with the legal situation and I have no way of knowing at this point what the outcome will be. I will gladly refund any donations in the mean time for any his wish to do so. So many of you asked I keep the donations, I am totally overwhelmed! Time will have to tell on this one but all is not lost and light still shines on The Davis home and the center he built. Thank you all so much for your wonderful support and patience through this uncertain and grief filled journey. For those of you wishing to have donations refunded, either contact me directly and I will have GoFundMe issue the reversal, which will take a few days or you can simply hit the “refund” button directly from GoFundMe. Thank you all so much for your continued support and understanding! Dad would be so honored and proud of his community! Where to start... I met with the lawyer a couple mornings ago and unfortunately with having to buy two separate people out and still have a massive mortgage and legal fees after all is said and done, I can’t in good conscience take on anymore than I already have. I am emotionally drained and need to move in a direction that is better for my mind, body and daughter. Because I do not know for sure if I will be able to keep the property and may have to find a new location for the art center, I will be refunding the GoFundMe donations to those who would like a refund. 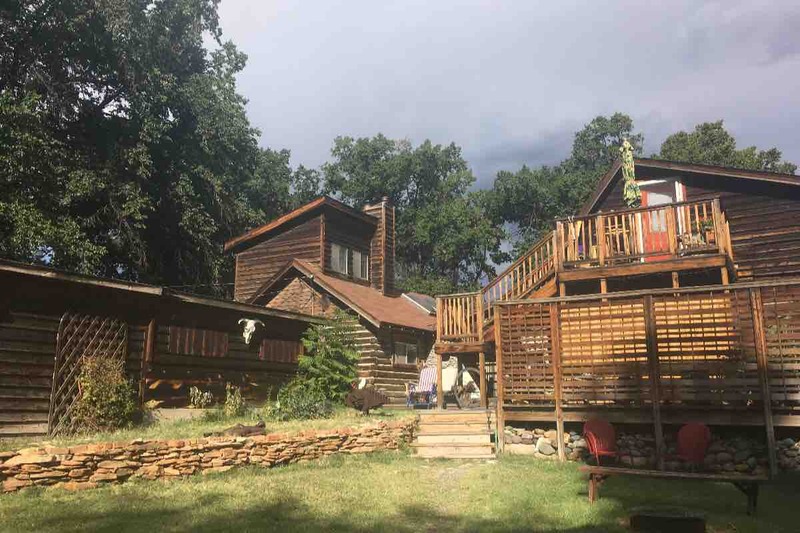 I will still be moving back to valley and have decided to shift my energies into finding a new location to rebuild the atmosphere of this place and relocate the nonprofit art center in the mean time, as well as my farm. I want to thank everyone for all of your support, encouragement and love during this process. I may not have succeeded but I did see how wonderful and loving my home can truly be. Wow! Thank you all so much! I am already overwhelmed by the outpouring of love and generosity!